Are the neighbours keeping you up all night? 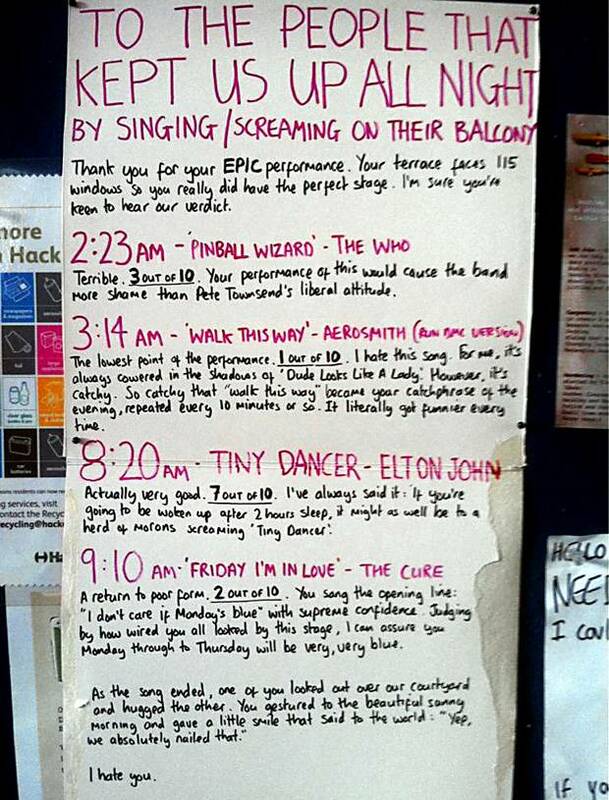 This is what Oli Beale did when his neighbours were putting up a nightlong karaoke performance and it has not only gone viral but has made it into the news coverage as well. Very creative and an excellent way of disposing that negative energy and using your time wisely.